This gallery contains resources to help you write your own wedding vows. There is no end to the number and types of wedding ceremonies. Some are steeped in tradition. Others are as new as new age. Taking into consideration your faith, denomination, and the requirements of the governing body and/or the minister or official who is going to perform the ceremony, you must determine how much leeway you will be given in modifying traditional vows or whether or not you will be given the opportunity of creating your own ceremony and/or vows. Here are some additional resources for you to use in writing your own wedding vows. There are pre-written examples, and helpful material which you can use in your creative process. 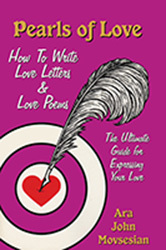 Poems for Use in Wedding Ceremonies- Some poems that may be appropriate in a wedding ceremony! The following statements can be used for creating your own personalized wedding vows. 1) I affirm the special bond and unique relationship that exists between us, and promise to keep it always alive. 2) I promise to love you, comfort and encourage you, to be open and honest with you, and to stay with you as long as we both shall live. 3) I promise before God and these witnesses to be your loving and faithful (husband/wife) till death do us part. 4) I promise to love, respect and honor you, sharing your plans and interests, ideals and emotions, through all the trials and tribulations of life, as well as the joyous times, caring for you in lifelong commitment. 5) I promise to be your confidante, always ready to share your hopes, dreams and secrets. and be faithful to you for as long as we both shall live. I, [Bride's Name], take [you/thee], [Groom's Name], to be my [lawfully wedded husband/husband], [knowing/confident] in my heart that you will be a faithful friend, and a [steadfast/true] and loving companion. and to cherish you for as long as we both shall live. I, [Groom's Name], take [you/thee], [Bride's Name], to be my [lawfully wedded wife/wife], [knowing/confident\ in my heart that you will be a faithful friend, and a (steadfast/true) and loving companion. The following words can be used for creating your own personalized wedding vows.